When will Pakistan say ‘Yes, it is my fault’? I remember during high-school when my friends and I got bad grades, we blamed the school administration. When the roads in Islamabad were polluted with squashed ‘Frost’ juice boxes, we blamed the government. When I was late for classes and meetings, I would blame my driver for driving slowly or my maid for not waking me up on time or the rain for making the roads slippery – you get the picture? After we graduated from high-school and my friends received bad grades, they blamed the Cambridge administration for a biased system. ‘yes it is my fault’. I, too, was no different. Naturally, my first month in college In a foreign land was a disaster. I would be at least 10 minutes late to all my classes and at the end of the session, I would always drag my professor aside and make an excuse. I am new here, I forgot the directions to class. I soon realised that in college, I did not have parents, siblings, drivers, maids and traffic police to blame for my own carelessness. The walk to class was simply five minutes long, and had I not been in bed all morning, I would have made it on time. One day I was so late to class, that I missed my test. I still remember that I suddenly became pale and breathless. The dramatic and exaggerated thought of failing college and being deported rattled me. When my advisor decided to dock one point every time I was late to class, I learnt a very foreign concept – a concept of ‘accountability’. On that day, I was honest with myself and accepted that I was not late because of external factors; I was late every day because I was unorganized and careless; because I was always using excuses to justify my actions, I never accepted my own flaws. How can one improve oneself without accepting one’s own flaws? I realised that the first step to improvement is ‘acceptance’. I promised myself that no matter how difficult circumstances become, I would not make excuses for my faults; I would own up to them and change them. After continuously trying and realizing how it feels to be accountable, I didn’t only manage to get a 4.0 that semester but also received a scholarship. Despite working for exhaustive hours at a tiresome minimum wage job to afford college, I was able to partially change myself. Maybe the fast, lonely and crude freshman winter partially transformed me, but unfortunately the people of Pakistan and my Pakistani-self are still the same. 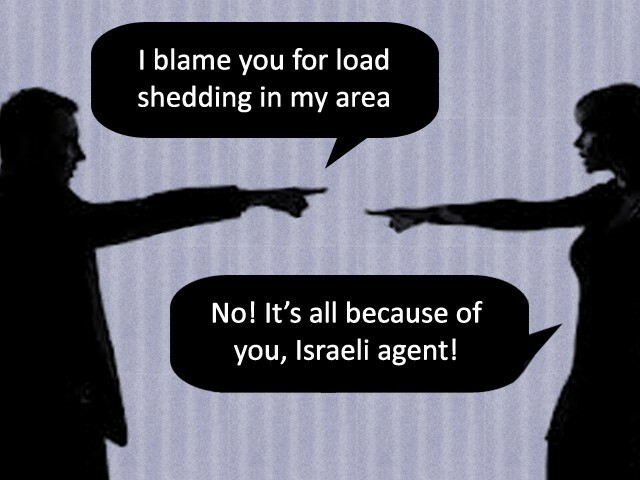 On a national level we believe that our problems are caused by USA, India or Israel. On a domestic level, we blame our own flaws on the people and factors around us. We also blame general Ziaul Haq for how our country is today. Maybe the present circumstances of our country are due to mistakes of past governments, but for how long will be blame everything on them? Is our lack of disciple Zia’s fault? Is our carelessness, Zia’s fault? Is our impulsive decision making, Zia’s fault? This pattern has been occurring from August 14, 1947 all the way up to August 14, 2013. It is time for a change now. We need to realise that WE are the cause of OUR problems. We need to correct ourselves, not just by words and notes but by action. We need to stop believing in irrational conspiracy theories and start realising that our own political parties are backstabbing us. We need to stop blaming other countries and admit that we have legitimate problems in our country, such as terrorism, poverty and gender discrimination. We cannot overcome our problems till we do not admit that they exist, just like we cannot cure an illness until we do not admit that we have it. When I think of Pakistanis, I think of the most affectionate, welcoming and hospitable people. Our personalities are charismatic, but our discipline is non-existent. Let us aim for a better year; on the next August 14th, we will have a list of things that we will have changed and not just a list of excuses. Next year the ‘Pakistani’ way will symbolise unity, faith and discipline rather than lack of it. We can overcome our flaws as a nation, today. Let’s change the ‘Pakistani way’; let’s step out of conspiracy theories and delusions and let’s do it today’ for a change and not ‘tomorrow’. A graduate of International Relations and Social Justice from Lake Forest College. Farzeen studied international law at University of Oxford and works at Chicago Sun-Times. 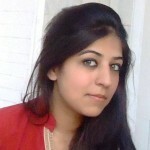 She intends to pursue a career in public interest law and micro-finance in Pakistan. I agree to the fact that Bbaming others would never take you anywhere near success. I disagree with u fareen tariq. RAW is aiding it’s terrorists in pak and in afghanistan. is it pakistan’s fault? USA invaded afhanistan. is it pakistan’s fault? india stages a drama in it’s own land and put blame on isi. is this also pakistan’s fault? israil and india’s strong connection are proved in unstability and bomb blasts in balochistan. is it pakistan’s fault? why dont u ask this from india when even when an ant dies there. they put blame on pakistan and isi.. why dont u ask this from america. they have blame a whole nation and invade them afterwards. Agree with the gist of your article. We should accept our mistakes and make changes within ourselves. That should be foremost and is something we are seriously lacking. When you were removed from your toxic environment you found yourself gifted with good qualities after a steep learning curve. Great realization and a good personal journey. But I don’t think what you’re trying to teach here ,is a lesson 99% pakistani’s will swallow kindly. I tend to disagree with the writer. Sense of ownership & responsibility are traits that are instilled either by the parents or by mentors at educational institutions. Unfortunately both skipped writer’s various dimensions of blame game. Secondly the concept of “lead by example” has hitherto remained absent in our political, civil, business and military leadership. We aptly emulate what our elders/seniors do as that perhaps is the norm to growth & advancement or so do we think.Those who got away with murders, plunders, loot money, illegal occupation of lands..wheres accountability? I think below article is along the same lines of this blog and brilliantly written. I suggest you read it. Take care. yes we must accept our mistakes..we should correct ourself first rather than blaming others..
Well written. Kudos to the author for introspecting and self-coorection. Wish you success in your life. Well, circumstances and a foreign college taught you something basically your parents should have. Your expanding this thought process and applying it on a national level comes across as a bit naive. The over all message in general is great and hard to fault. Its how all nations operate… you might realise that in a few years. But only if you choose to investigate it a little further. Saying no to everything and victimhood is a part of our lives. We never say I failed the exams or stepped on the thorn. We say my roll number is not in the paper, the examiner was hostile, or I would ask for re-checking my exam papers, etc. How can a thorn come out and get inserted in my foot nobody questions that? It is never our brother or kid’s fault it is the fault of his wrong company. When an individual fails he/she tries to analyse the reasons for the failure, that is human nature, majority of them blame other factors than their own, this is also a human nature, this BLAME OTHERS attitude is harmless as long as it is at individual level..
her experiences to all Pakistanis. When you ask Fareen whether it is Pakistan;s fault, did you ask yourself what Pakistan has been upto since 1947? Since when RAW began aiding terrorists in Balochistan and since when Pakistan has been sending them in all parts of India? Did Pakistan not market nuclear technology to other countries and US decided to favor Pakistan by not making an issue? Did Pakistan not deny equal rights to minorities? Did Pakistan not deny Ahmadis, Qadyanis etc. the right to call themselves Muslims? Did Pakistan not deny East Pakistan rights to language, to election victory, to right to revenues? Was Bhutto right in saying …”Udhar tum, idha Hun”>.why didn’t Pakistanis take Bhutto to task? Isn’t Balochistan not being denied promises made to it since 1947? Didn’t Pakistan shelter 9/11 masterminds? i agreee with you Shaheena, its very difficult to be like the eagles described by Allama Iqbal ! Bangladesh is a ticking Human time bomb. These guys (so also Pakistan, 52 other Islamic nations and parts of India too) cannot control their own population from exploding into the face of the world. Each family will have 5 plus children. Most likely this girl’s dad is busy preparing for his next kid.Is Haines responsible for this?